It's Friday, June 13, 2014, and time once again for FACEBOOK FRIDAYS! 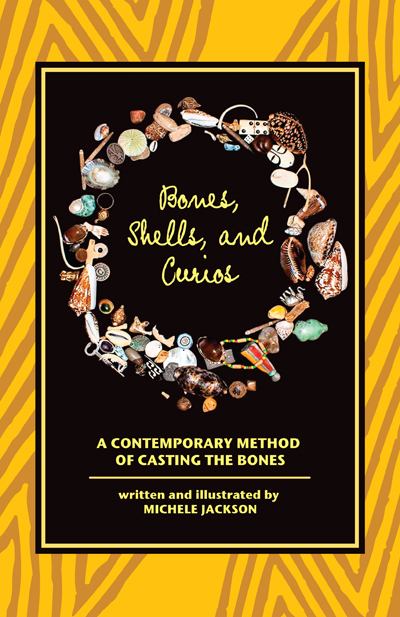 This week The Lucky Mojo Curio Company will select 8 lucky winners who'll get copies of one of our new feature publications, "Bones, Shells, and Curios," by Michele Jackson. Bone reading is an ancient method of divination practiced throughout human history in various forms by diverse world cultures. Bones, Shells, and Curios describes a method of bone reading that is intuitive, personal, and accessible to all. All you have to do to enter is to go to the Lucky Mojo Facebook page, scroll down, and post a comment to the Facebook Fridays! status message for June 13, 2014. First thing tomorrow morning, we will select EIGHT winners at random, announce their names here, contact them via Facebook to get their mailing addresses, and send them their FREE copies of "BONES, SHELLS, AND CURIOS." We have a winner! In fact, we have EIGHT lucky winners! Our Facebook Fridays Giveaway winners for June 13, 2014 are: Karen Zimmerman, Vanessa Sotello, Bernadette Roberts, Catherine Brickell, April R. Casler, Nancy Tolonen, Chris Muchow, and Nathan Kamer.